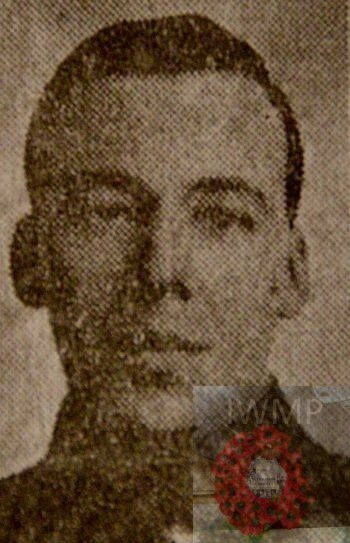 Died: 13th June 1917; age 29; Died of Wounds – 17 Casualty Clearing Station. Residence: 10, Sterling Street, Ipswich. Employment: Messrs. W. & A.J. Turner’s, Ipswich. Regiment: Royal Garrison, 297th Siege Battery. Formerly 2039, R.G.A. (T.F. Essex & Suffolk). Relatives Notified & Address: Son of Mrs Dawkins, of 10, Sterling Street, Ipswich. Brother to GEORGE ALFRED DAWKINS. Frank was 3 years old and living with his parents & siblings. George Alfred Dawkins, 8, born Ipswich. Frank was 13 years old and living his parents & siblings. 1911 10, Sterling Street, Ipswich. Frank was 23 years old, a Legging Clicker at a Leather Merchants. He was living with his widowed father & siblings. William, 62, a Boot Closer at a Leather Merchants. Arthur, 25, a Railway Labourer. Annie, 21, a Factory Hand. Frank is also remembered on St. Matthews Church Memorial.